The Deputy Chair therefore leads the Commission in the conduct of its review work and is supported by two other Commissioners. Mr Justice (Andrew) Nicol (Deputy Chair). Sir Andrew Nicol was appointed a judge of the High Court (Queen’s Bench Division) in 2009. He was one of the Presiding Judges on the South Eastern Circuit from 2011-2014. Before becoming a full-time judge he was a practising barrister and was appointed a QC in 1995. He taught law at the London School of Economics between 1977 – 1987. He worked in Australia between 1976-1977 and for the State of California between 1975-1976. He studied at Cambridge, Harvard Law School and the University of California at Berkeley. He is the co-author of books on media law and on the history of immigration and nationality law. He was appointed as Deputy Chair in March 2017.
on to graduate from Durham University with a BA(Hons) in Law. He was admitted as a Solicitor in 1973 and enjoyed 37-year career in local government serving six county councils and two unitary councils. 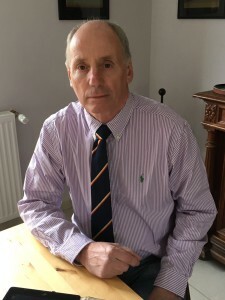 He has held a number of senior legal posts but for the last 15 years of his career was Chief Executive of a county council and two unitary councils. He has extensive experience as a Returning Officer, and has held a number of non-executive positions related mainly to education and the public sector and continues to undertake occasional consultancy work. 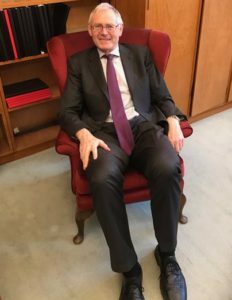 He was appointed a Commissioner of the BCE for a five-year term from 1 July 2009 and has been subsequently reappointed for a further five years. He is married with a family and has two grandchildren. One vacancy as at February 2019. The Commission meet regularly and you can read the papers and minutes from those meetings here. Code of Conduct and Register of Interests. All Commissioners are required to comply with the principles set out in the Cabinet Office’s Code of Conduct for Board Members of Public Bodies. The Commissioners also maintain a Register of Interests and declare their annual fees and expenses in the Commission’s Annual Reports. Frances Patterson was Deputy Chair of the Commission from 2014 until her premature death in 2016. She was called to the Bar by the Middle Temple in 1977 and took Silk in 1998. She was a public lawyer who practised mainly in the field of planning and environmental law. She was appointed a Recorder in 2000, a Law Commissioner in 2010 and became a High Court Judge in October 2013. When at the Law Commission she led the project on the reform of electoral administration. She was appointed as Deputy Chair of the BCE in November 2014 for a term of five years. 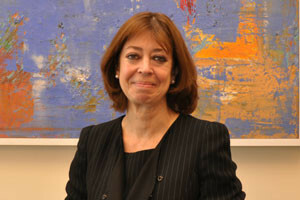 She previously acted as Assistant Commissioner for the BCE in 2005, during the Fifth General Review. Frances was married and lived in London and Cheshire, and had three children. She died on 20 December 2016 after a short battle against illness. She is greatly missed by the Commission and its staff.